The title of the piece, which roughly translates as ’Now, there won’t be much more walking’, is a fragment from Wilhelm Müller’s lyrics to Die Krähe', the fifteenth song in Schubert’s song cycle Die Winterreise, which I had listened to several times before writing the piece. I guess I have an ongoing relationship with Schubert’s music, his songs in particular, and I had also used a couple of other songs from Die Winterreise as a point of departure when writing an earlier piece, ’Ist gefallen in den Schnee’, which also was the first piece of mine to be released on Another Timbre. So, I happened to revisit Schubert’s song cycle and somehow got attached to a couple of adjoining songs, 'Der greise Kopf’ and ’Die Krähe’, which I then used as points of departure when writing the piece. After starting to compose, materials from a couple of other sources crept in as well: the medieval English song ’The Woods So Wilde’, and also a song by Dowland, ’Can She Excuse My Wrongs’, which uses part of 'The Woods So Wilde’ in one of its inner voices. The idea of using ’The Woods So Wilde’ as a source material is a kind of silly, (and until now) private and playful tribute to the wild members of my ensemble Skogen, which translates as ’The Woods’ or ’The Forest’ in English. So I used rhythmic materials from all the different sources and tonal materials from the two Schubert songs, which I then kind of deconstructed, transformed and recomposed into something different. In the end the piece turned out to use four pools of material using slightly different tonal modes, all containing comparatively large collections of melodic fragments, extended melodies, chords, timbres, single sounds and rhythms. The different pools of materials were then combined with different time values and ordered into a temporal framework consisting of a number of different sequences, through which the performers navigate with (hopefully) some help from a set of guidelines or suggestions provided by the composer. You have developed several pieces with Skogen across quite a long period of time. How would you say that your relationship with the musicians and the way they interpret your music has changed over the years? Yes, having had the opportunity to work with Skogen has really been of decisive importance when developing my music. 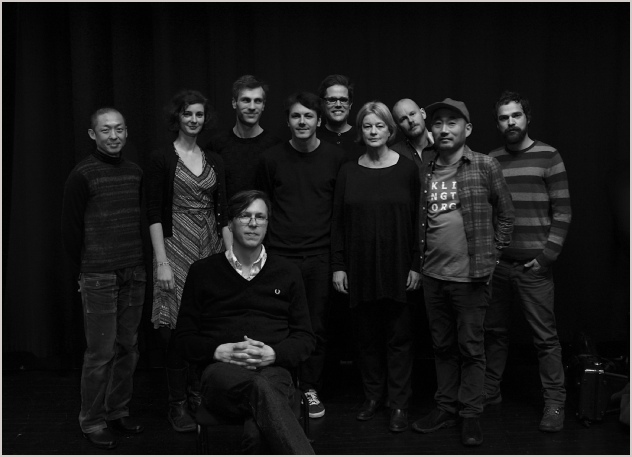 I more or less started Skogen some thirteen or fourteen years ago in order to try out certain ideas, methods and materials that I had been working on and thinking about for quite some time before daring to present them to an ensemble. So working with Skogen has definitely influenced my work greatly and helped clarify things for me as regards how my music could work. 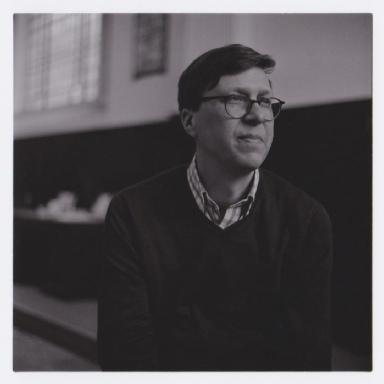 I think that things would have been very different, and much more difficult – if not impossible - without this possibility of working with an ensemble of players who I trusted and who knew my work, and who were able at the earliest stages to experiment together to bring my first pieces into being. By now the ensemble is used to the way my pieces normally work, and so we tend to approach them with a healthy dose of independence. The pieces serve as a clearly articulated environment or a framework within which the musicians move very freely in accordance with their own individual dispositions and leanings, while the materials and the temporal framework serves to guarantee an overarching coherence to the music. You’ve worked with several other ensembles in recent years, but – to use a football analogy from football - does working with Skogen feel like playing on your home ground? Yes, I guess it still does in a way: there’s hardly any instruction needed apart from perhaps a few tiny remarks when rehearsing a new piece. The players all seem very much at home with how the music works and act very freely and independently in relation to it while still staying true to it. But working with other ensembles in later years has been very valuable and equally rewarding: to get to the opportunity to hear other musicians with other experiences and inclinations approaching the music and finding their own ways of cultivating it, as individuals as well as collectives, has been very interesting and informative as well as being a very joyful experience, to get to be surprised and to learn something from a different perspective. 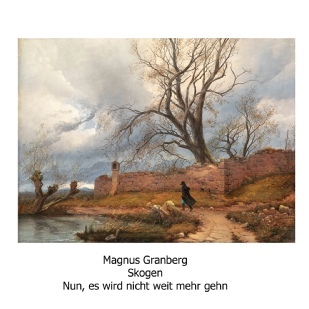 I wonder what is the attraction of Schubert, and of the very romantic landscape painting by Julius von Leypold which you chose for the cover of the CD? Is there are barely suppressed romanticism in your music? Yes, that’s a very good question which I’ve asked myself repeatedly and to which I haven’t really had an unambiguous answer to so far. On the contrary I quite often find myself estranged from much romantic music with its sometimes grand gestures and excessive expressivity, as compared to music from, for example, the Renaissance and baroque eras towards, to which I tend to respond in a much more immediate and unequivocally positive manner. And quite often it’s the very small things and not the grand gestures or extensive developments in Schubert or other romantic music that happen to attract me and stir my interest and imagination. Things such as the atmosphere of a short introduction, the voice leading in a short passage, a melody here and there, a chord or two, a surprising modulation. But I do also realise that I may have a certain inclination to some ideas and feelings perhaps often associated with romanticism, of longing and surrender, of vulnerability and the nocturnal. And if my music should be called romantic it’s hopefully not so much because of it being a manifestation of a romantic subject as it is a matter of the disappearance or gradual dissolution of a romantic subject, of perhaps becoming and being part of a larger existence and its various transformations.